A blog reader recently challenged me to create a nut-free, creamy salad dressing. You know I love a good challenge and I’m always happy when you give me recipe ideas and let me know what you are struggling with. It’s not always easy cranking out an endless supple of recipes, so I always appreciate any inspiration and guidance I can get. 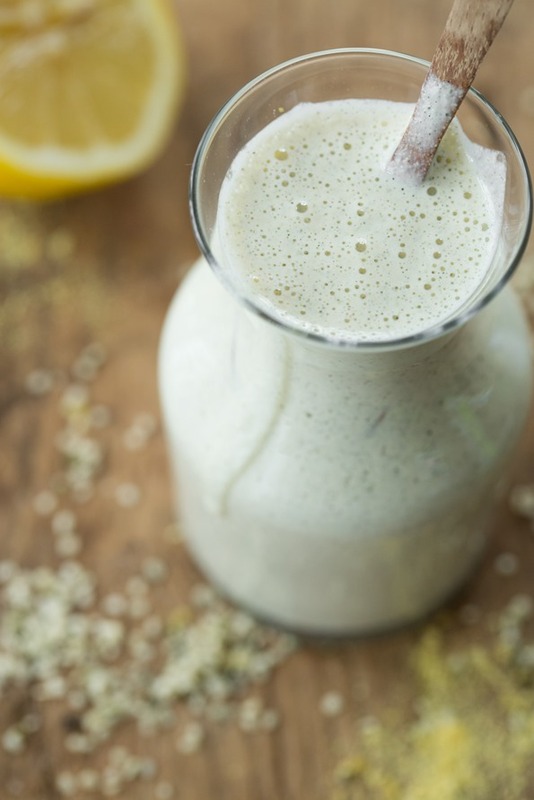 I first asked Julie if she has tried my beloved (nut-free) Lemon tahini dressing. The only problem is, she is allergic to sesame seeds as well, so that dressing was not an option. Yes, hemp seeds turn wonderfully creamy when blended. This could just work! Of course, hulled hemp seeds (also known as hemp hearts) are nutritional powerhouses. Packed with omega 3 fatty acids, many say hemp seeds contain the perfect omega 3-6-9 fatty acid balance for the body, reducing inflammation and giving the skin, hair, and nails a gorgeous glow. They are also high in protein, and a complete protein to boot. This salad dressing has roughly 2.5 grams of protein per tablespoon, so it’s an easy way to boost the protein in your salad without much effort! Who knew salad dressing could be high in protein? Making this dressing is also a total breeze. Just toss water, hulled hemp seeds, nutritional yeast, sea salt, lemon juice, and garlic into a blender and blend away. Thanks to the creamy, healthy fats that hemp seeds provide, there’s no need for a lick of oil in this dressing. I kept the ingredients very simple, but feel free to experiment with other herbs and seasonings if you want to doctor it up. PS- You’ll be seeing much more of this Delicata squash. It’s my absolute favourite squash and I’ve been eating it like a crazy person lately. I kept the flavours in this dressing simple to allow the earthy, distinct flavour of hemp seed to take centre stage. This dressing reminds me of a cross between a mild Caesar dressing and a Ranch dressing, although not quite as strong. Feel free to play around with the ingredients. I'm sure fresh herbs or other seasonings would be nice to experiment with too. The dressing appears quite thin after blending, but rest assured it thickens up quite a bit once chilled in the fridge. I've also included the directions for making this salad too. It was a great combo of flavours! 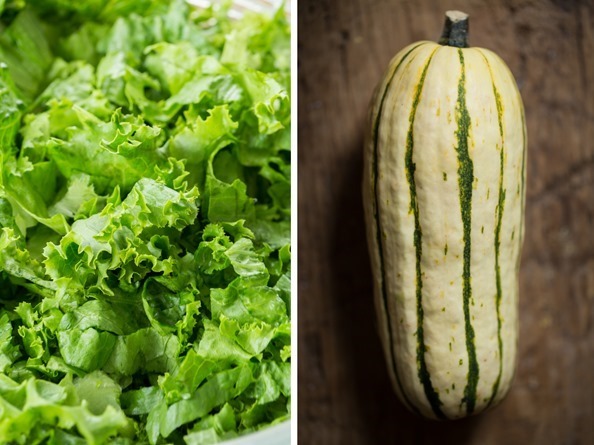 The Delicata squash is not to be left out. 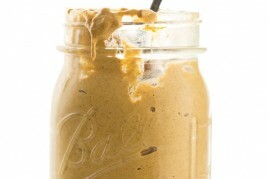 For the dressing: Add all dressing ingredients into a high-speed blender and blend on high until smooth. Adjust salt to taste. The dressing will appear thin at first, but it thickens up after being chilled in the fridge. For roasting the squash: Preheat oven to 375F and line a baking sheet with parchment paper. There is no need to peel the skin off the squash, as it's thin and edible. Slice the stem off the squash and then slice in half, lengthwise. Scoop out the seeds and discard (or clean and roast for the salad). Slice each half into small, 1/2-inch half-moons. Lay flat on baking sheet and drizzle with oil (I love using coconut oil), salt, and pepper. Toss to coat both sides. Roast for around 25-35 minutes, flipping squash half way through baking. Squash should be fork tender and lightly golden when ready. To assemble the salad: Add a generous amount of lettuce into a large bowl or platter. 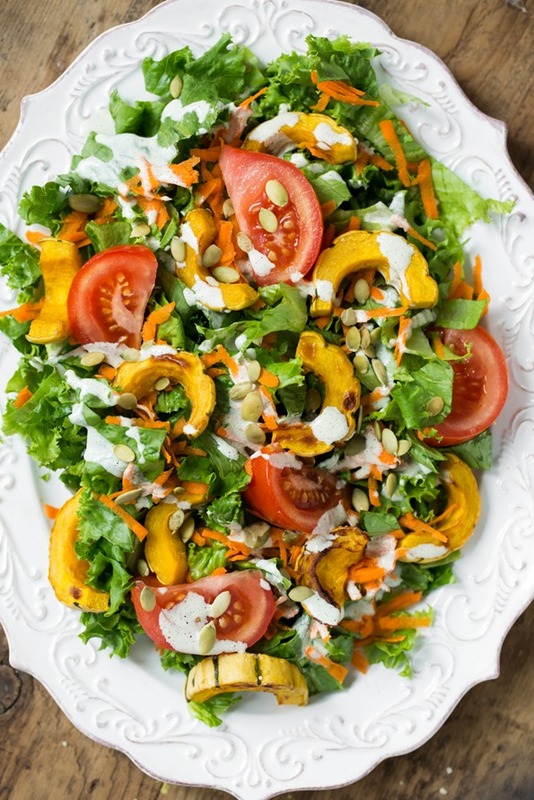 Top with squash, shredded carrot, tomato, pepita seeds, hulled hemp seeds, and the dressing. Dressing will keep in an air-tight container in the fridge for at least a week, probably longer. Nutritional info is for dressing only. I hope you enjoy this nut-free take on a creamy salad dressing! As always, let me know what you think if you try it out. Allergic to sesame seeds! I feel for her. Not that I eat sesame seeds all that often, but there’s nothing like a good tahini/lemon dressing. It’s hard to find oil-free dressings that are satisfying, excited to try this one out. A note on hemp seeds (I learned the hard way)–they do better if stored in a glass jar in the fridge. I went on a long trip this summer & came home to find my hemp seeds (that were stored in a glass jar in my cupboard) had worms! I was sad to dump a bunch of (pricey) seeds. I am in love with this dressing idea!!! Well, and the salad. Can’t wait to buy some squash! I can’t wait to try this! I love making my own dressing, so much tastier than store bought…thanks! Ooh yes I love delicata squash! And I totally agree with you on the dressing – I always take photos of my salads without it on first, because it just looks super messy afterwards! These photos are so gorgeous Ange! I recently made a creamy ginger dressing with chickpeas as the base (the link is bit.ly/19tfnE2 if you want to check it out), which I thought was pretty darn good but I really like the hemp idea! I might have to try that one next. have a wonderful Monday! This dressing sounds amazing! I will definitely get some hemp seeds soon and give it a try. I am always on the search for a good way to make my office lunch salads more filling and add some nutritional value to them. You know what, I’ve never made delicata squash! That, plus a big jar of hemp seeds in my pantry, means this needs to happen soon. Wow…you never cease to amaze me! This looks awesome! I used this as m dipping sauce for your buffalo cauliflower bites!! Delicious!! Thanks to both you ladies for the awesome recipes. thanks so much for this delicious sounding dressing … such simple ingredients, will be preparing this today for a big lunch salad! I really appreciate your beautiful space ! Now, I’ve definitely seen those squashes at the Farmer’s Market. Looking forward to seeing what you do with it (you said we’ll be seeing more). Gotta find some hulled hemp now…??? I never heard of delicata squash! Now I half to go and find one, that thing is huge! I love how you created a nut free dressing it must have been a challenge but it looks oh so good..
hah it’s actually very small (but the picture makes it look huge, I know!). I think I screwed up the lemon tahini dressing (too much nutritional yeast maybe? ), so I may give this dressing type another shot. Fingers crossed! LOVE WHEN I HAVE ALL THE INGREDIENTS! so excited to try this angela thanks!! Has anyone calculated calories for this yet? Can not wait to try this! Always looking for veg friendly ways to bump up the protein. This is exciting. I can’t wait to try this one! 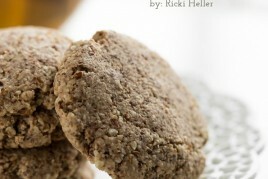 I LOVE it when you have oil free recipes!!! Yay! We have hundreds of pounds of delicata squash at our farm right now. They are overlapping with the last of our tomatoes and lettuce. Cannot wait to make this salad. I am super intrigued by the dressing. This dressing is awesome!! Thanks!! Love the idea of a sesame-free dressing! Here’s a question that has stumped me forever- I’d love to make a rich, creamy vegan sauce for pasta or veggies that I can share with my mom, but she’s allergic to all nuts, all seeds, soy, coconut, and avocado- I’m all out of ideas for something that would add richness to a sauce! And, unfortunately, I can’t digest cauliflower (which was my other thought). Any ideas here? If you blend olive oil and honey (if you eat honey) together, they will emulsify and froth up. 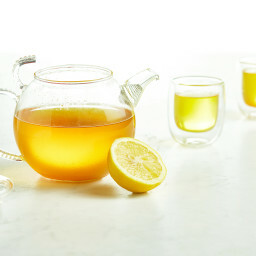 I would definitely start out with an olive oil or equivalent base, and balance it with, vinegar and/or citrus. For some reason I thought of roasted and skinned red peppers which can blend to an almost silky consistency and would probably made a really delicious dressing. Also well-cooked beans, especially chickpeas, can add to the creaminess factor. I haven’t tried most of these, I’m just sharing ideas! There are many various food allergies within my family as well. Good luck! Those are great ideas, C! 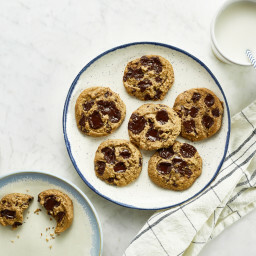 Try the recipe at the end of this WSJ article! Vegan carbonara…swoon. A vegan pesto is my pasta topping of choice. I blend any combination of basil, cilantro, parsley, sage, olive oil, garlic and salt that I happen to have on hand. You mention above that she’s allergic to seeds, but does this apply to vegetable seeds too, such as squash or pumpkin? I use raw pumpkin seeds in pesto all the time. And you can also dry seeds from butternut or other squash, grind them to a powder, and use it to thicken sauces. And I love roasting delicata as opposed to say butternut b.c you don’t have to peel them and they’re softer and less of a hazard to hack into! Pinned! I am SO with you on the squash, I love it!! Also, who would have thought, hemp seeds!? this looks so delish! i’ve been using nutritional yeast more & i really like the flavor that it gives certain things. i bet it works well in this dressing! This dressing sounds divine, I can’t wait to try it! I must also know where you got that gorgeous plate! Scrummy! I’m fairly new to hemp seeds but love them. They’re great for blending into smoothies and sauces as they’re so creamy but don’t need soaking like cashews. What is it about roasted squash that is so darn good. I think I could probably eat a whole squash in one sitting like that! This looks sooo good! Now to find hemp seeds in New Zealand… They’re not allowed to be sold as a food for humans here, and so people sell them as “Food Grade Animal Feed” which cracks me up slightly, but also makes me a bit concerned about the restrictions we have… Anyway, looks like a killer recipe! 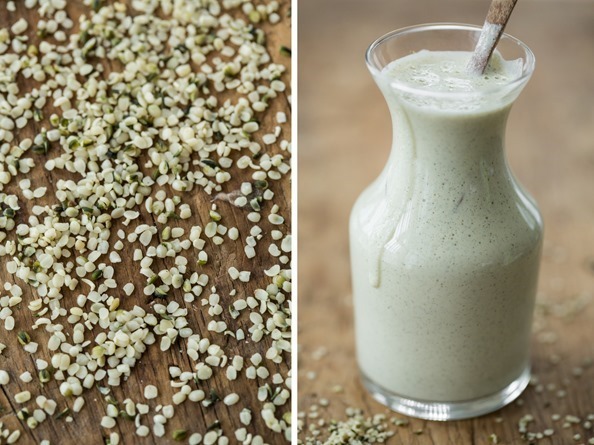 Hemp seed dressing– love! I can’t wait to try it! I have a client with many food allergies (but she can have hemp seeds) and I’ve been looking for a creamy, non-soy dressing. mmm sounds good! I would have thought maybe a bean or an avocado base? hemp seeds are a great idea though. And I’ve never had delicata squash either! I don’t know why…I should definitely get some! I just LOVE, LOVE, LOVE your site and everything on it! I can’t get enough of your recipes and give your website to everyone! Everything I’ve tried is EXCELLENT, easy and so nourishing. Your story, approach, authenticity and variety is amazing. And as a fellow photography enthusiast, your pictures of food are to die for! It’s such a joy to see what you come up with and how you share it. I’m in the business of having people feel Sextacular (R) being their sexiest selves – right now, exactly as they are in a healthy way. Food is a big topic and I give your site to everyone! Thank you for what you do! Spectacular!!!! Do you think the dressing would turn out without a high speed blender? Would lve a Vitamix one day, but it’s not in the cards anytime soon. +1!! !…NO Vitamix or Blentec budget capabilities at present…Could one possibly use a stick immersion blender…or a food processor?…LOVE my hemp seeds!!! I soaked the 1/2 cup hemp seeds in 1/2 cup boiling water first- then it eventually blended creamy in my regular blender. Also thanks to the commenter who recommended that hemp seeds be stored in the fridge! Sounds amazing – can’t wait to try it. I’d been having some problems with salad dressings because of how many of the ingredients I can’t have. Gotta get some of the ingredients that go in this first – Amazon here I come – but it sounds like it is exactly what I’m looking for! 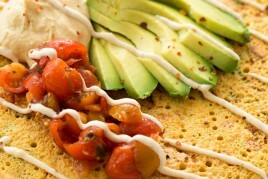 I never get tired of hemp dressings and this one looks simply delicious, thanks! Hi Angela – thank you so much for this dressing idea. I can’t wait to try it! How about another challenge? I had a sunflower seed hemp crusted pizza (no dairy, of course!) at a raw foods cafe’ in Austin, TX not too long ago. I was skeptical, but it was so good! Any ideas on an at home version? Thanks again – your recipes are the best! Angela, I’ve been prepping this salad for tomorrow. My dressing is good but turned out a tad bitter. Could it be the garlic or the nutritional yeast? It’s also my first time to try out hemp seeds. Thanks! And I can’t wait to order your book. Thank you so much for your amazing recipes. You have no idea how you have helped me with a complete dietary change. Your pictures and recipes helped me see and taste that vegan is doable and enjoyable. I cannot eat wheat also and your recipes have been phenomenal. I am so excited to make soups again with this Fall weather starting. Your carrot soup is a staple in our home. Thank you again for all your hard work to make these recipes so yummy. I do have a question? 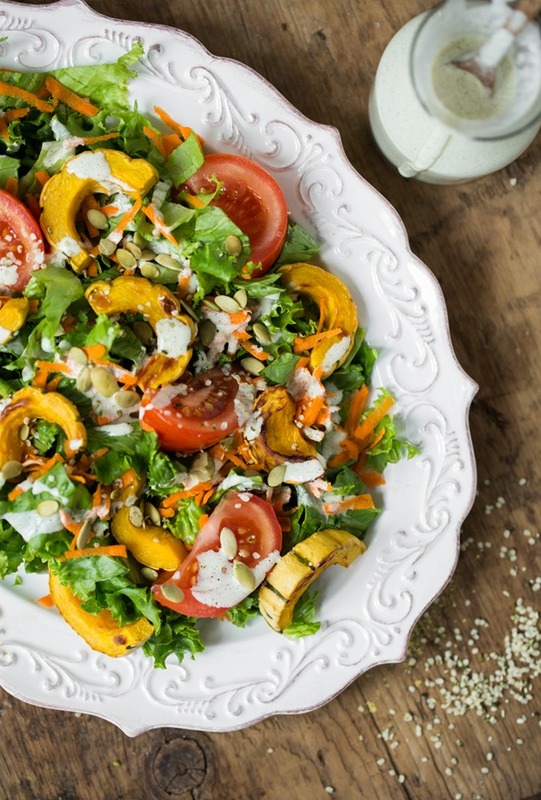 Your delicata squash salad bowl is beautiful. I am looking for that bowl and cannot find it. Would you be able to tell me where to get that please? Got some mixed greens and delicata in my CSA basket this morning so I made this for diner. I also added some roasted beets. Delicious! I looove delicata. Hi Gwen, I’m so glad to hear you enjoyed it! :) Thanks for letting me know. This dressing is AMAZING. I made it yesterday and I’ve been eating it over greens with roasted beets – the creamy garlickiness is soooooo amazing with the sweetness of the beets. 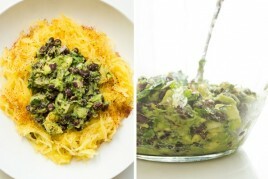 Thanks so much for sharing, this has definitely been added to my go-to quick meals! I’m putting together a printable list of oil-free salad dressings. This dressing came recommended by one of my readers. I was wondering if you would be okay with my including just the dressing portion of this recipe on the list, of course with credit to you. Thanks! Just made this for my lunches this week and I must say this is a winner! 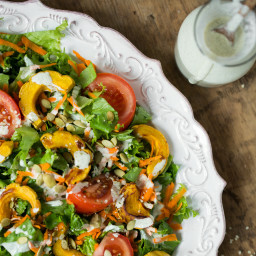 Love the dressing and the delicate squash is delish. 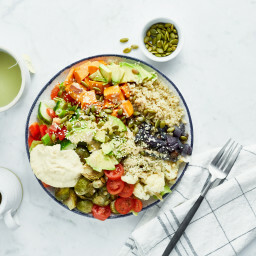 Hi Angela – this hemp dressing looks amazing and so creamy – it’s definitely on my to-try list:) thank you for the inspiration! I LOVE this dressing! I make a batch and keep it in a jar in the fridge. It is YUMMY!! I received a delicata squash in my CSA basket this week and decided to give this recipe a try since I had all the ingredients on hand…..boy, was it a winner!! Delicious mix of flavors!! I will definitely make this one over and over again! Thank you!! I love this dish. Spent the morning roasting my beautiful delicata squash–my first experience with these–and they’re delicious. Made my dressing and put everything away til lunch. Ooooh. What a treat! 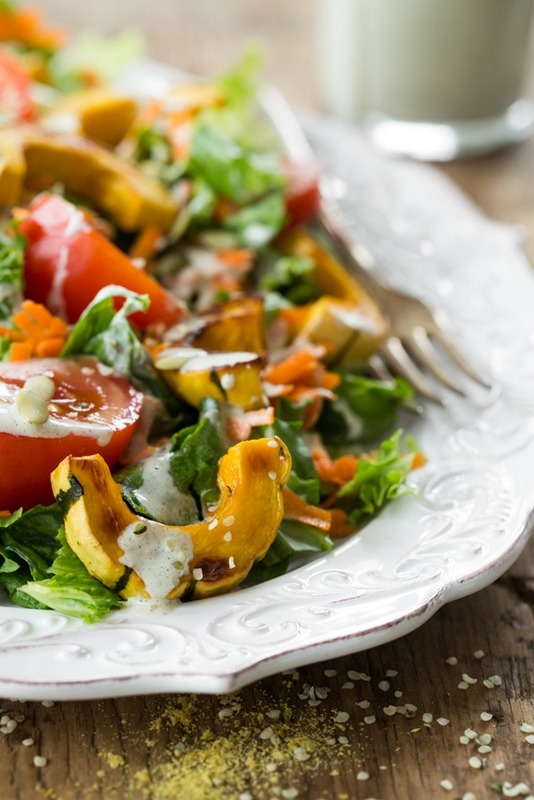 Love the combo of sweet-ish squash with the lemony-cheesiness (nutritional yeast) of the dressing. Thanks Angela. I’m having this dressing on my breakfast salad right now and it’s awesome!!!! I love how easy it is to throw together, that makes it even awesomer! Thank you! Any ideas for some good herbs to add to this? Thanks. a little bit of fresh dill might play off the flavours nicely? I made this dressing over the weekend and really like the flavor but it’s very runny. It did not thicken up at all. Any hints on how to make it a bit thicker? I really love the taste of the dressing but it seems a bit “runny”. What should the constancy be? Is there a way to thicken it a bit? I have made this dressing today. It’s the best ever! So garlicky and creamy. I love it. You have officially saved my life. I was so bored of salads…not anymore!!! I LOVE this dressing! I added freeze dried dill and it was almost like Ranch dressing. I am going to play with adding dried garlic instead of fresh to get it a little closer to Ranch. I am also going to try to thicken it a little to use as a veggie dip. So good! Oh my. This dressing is A-mazing!!! Angela, my dear, you are a genius. So simple and yet so delicious. I actually came here looking for an Asian-inspired dressing and came across this. Definitely a keeper. Thank you. Hi Angela! This dressing is delicious but, like a previous commenter noted, it is bitter. I don’t know why, but wonder if other fans have actually tried it and noticed this too? I can’t imagine its the hemp seeds because I throw those babies on everything…any advice you have is welcome! I just wanted to thank you for this recipe! This was this first time I had ever made dressing by myself, and it turned out great :) My only alterations were that I swapped the garlic for ginger, and didn’t add and salt. I also made this in my mini food processor rather than a blender! I just made this… I don’t know if I’m going crazy here, but it sort of tastes like one of the beef burgers my mom used to make. I mean, I haven’t eaten meat in years, but I feel like I just but a blended up burger on my salad! Not complaining though. This dressing goes awesome with the apples in my salad, very good! IN-CRE-DI-BLE! I just omit the nutritional yeast, and it was amazing! Really happy I made a double batch right away! Thank you so much for sharing! There was two delicata squashes waiting for me in the cold room for a few weeks. I was lacking inspiration on how to prepare them. Then I found your recipe. 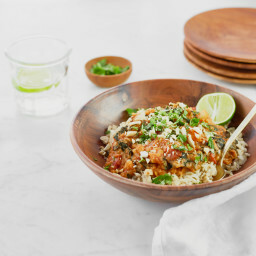 I cook mostly Indian and Middle-Eastern styles, and I am used to foods with herbs and spices that are full of flavors. Considering the ingredients in the recipe, I expected the dressing to be bland. But as it was a new recipe, I stuck to it and I am glad I did (except for the more generous garlic portion). It is soooo tasty! Hempseeds are not cheap to buy, but given their nutritional value and fantastic taste, are still worth buying. One hour after eatin my wonderful colorful salad, I still have the good taste of the salad dressing in my mouth. My teenage daughter loved it too. From now on, my delicata squashes will not sit in the cold room any longer. Thank you! My husband and I are in LOVE with this dressing! The salad looks great but I haven”t seen this kind of squash lately. I will be looking for it though. I add dill to the dressing and a little extra garlic because I adore garlic. I just received my Vitamix blender and am going to make this in it tonight. I also just purchased your cookbook and am loving what I see. I just had to have a Vitamix after reading your recipes! Taken me months to try this out. This dressing is exceptional. I think I will be adapting some of my other dressing recipes with the hemp seed and water combination. Thank you so much! I loveee this recipe!!! It’s become a staple in my kitchen and sometimes I add a little extra hemp seeds and use it as a veggie dip. Soo delish!! Thank you for this!!! Thanks a lot for the Creamy Hemp Seed dressing, Angela! Two thumbs up! We had it over a version of your Big Salad since I didn’t have those dressing ingredients on hand. Even my French-chef-trained husband liked it, which was a feat in itself. Actually, I had a third trimester brain fog and forgot to add the nutritional yeast, which was why I made it (trying out nutritional yeast recipes for galactalogues after the birth), LOL. It was creamy and zesty. My toddlers said ‘mama, ça pique!’ so it was probably too zesty for them. I am pouring the rest into an ice cube tray to see how it defrosts (it’s an audition for a postpartum freezer meal). I LOVE this dressing, the taste is perfect, the consistency, I love that it has protein and omegas, and best of all I love how easy it is. Thank you so much for this! How long would you say this is good in the fridge for?! You are awesome Angela. I made a kale, chick pea, squash salad today with the hemp dressing. It was seriuosly delish. I am totally into having a mainly plant based diet based on your recipes. OMG!! I haven’t made the salad yet but I have made the dressing a few times and it’s always SO DELICIOUS! It’s my go to dressing and I use it as a dip for vegan nuggets, veggies, or oven-fried oyster mushrooms. Perfection! Since I can’t use oil at all, would the delicate burn if I didn’t coat it? Any suggestions for what to baste it with in this situation? Thanks so much! This dressing is so good, it brought a tear to my eye. Just made this. So delish! And so easy to make! I never thought to use hemp seeds for dressing. It’s awesome. Oil free and so creamy. I love it! Thank you Meg! That means so much to me to hear. Next post: What Did U Do?